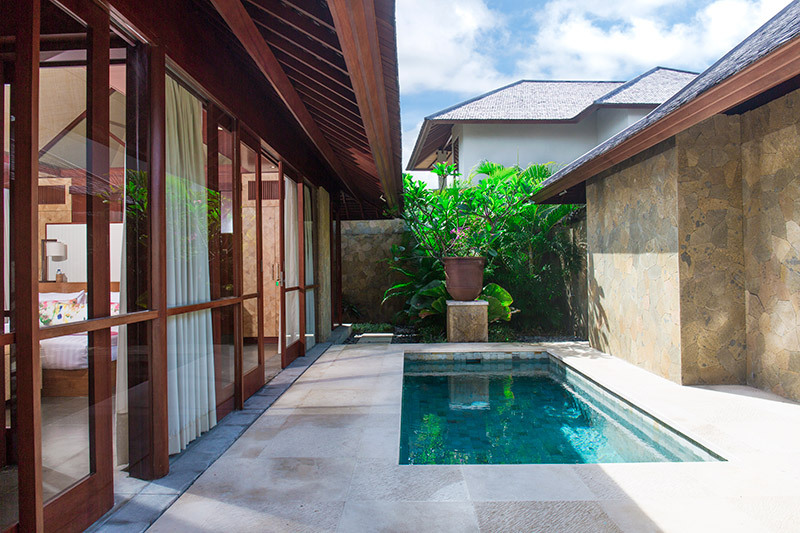 Pool (18m x 8m), 2 plunge pools. 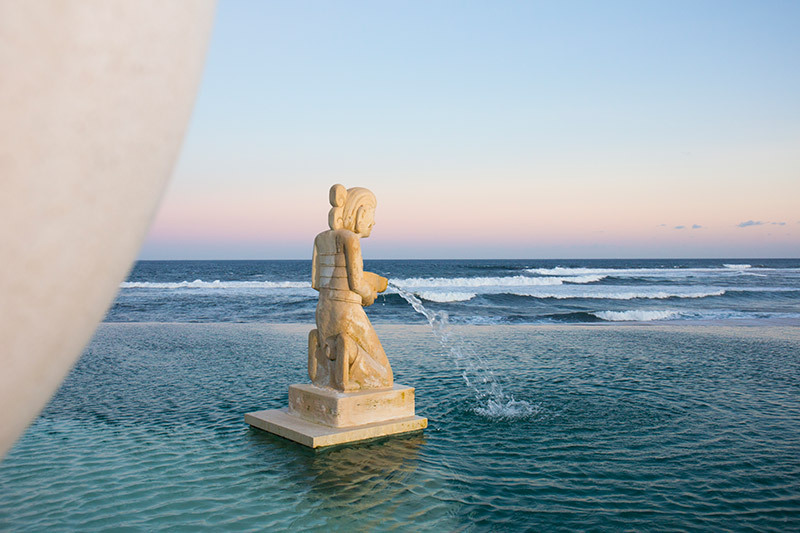 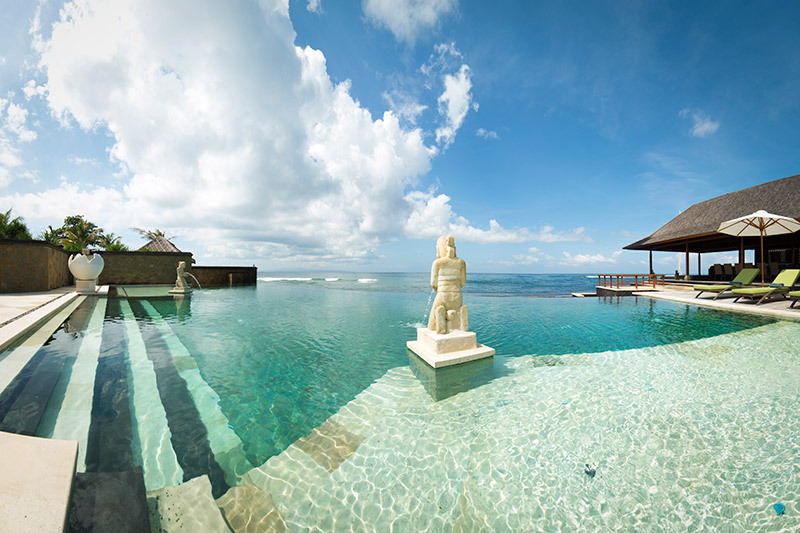 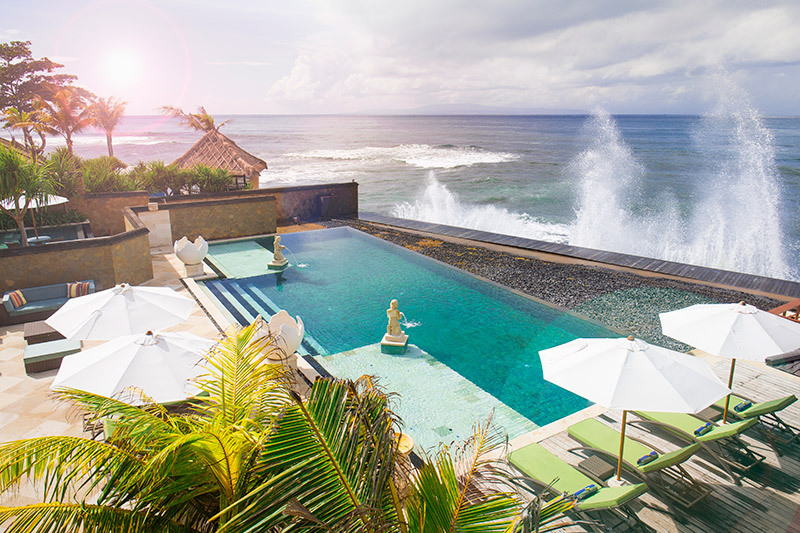 This jewel is part of the most beautiful villas of Bali. 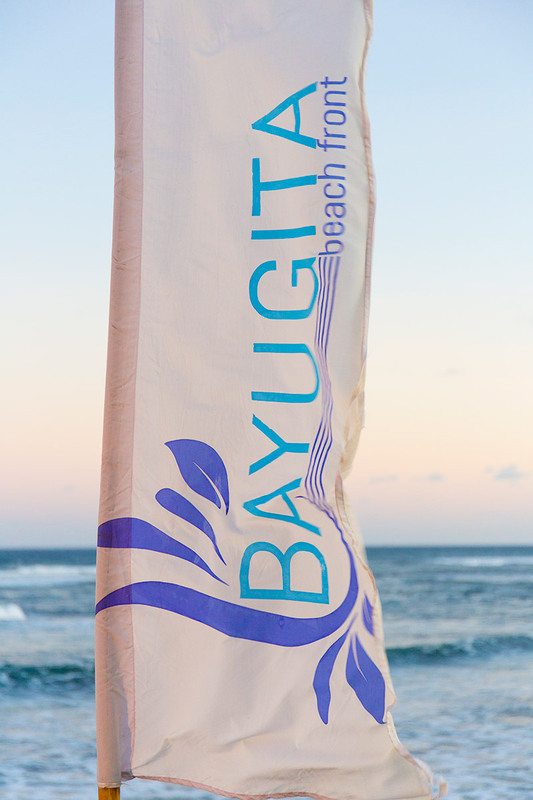 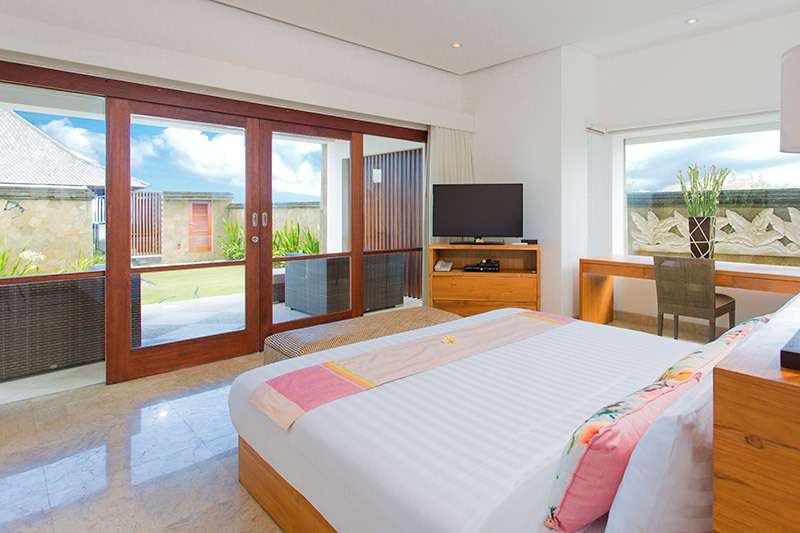 With a direct access to â��Pabean Beachâ��, it features a wonderful panorama over the ocean and its gorgeous sunrises. 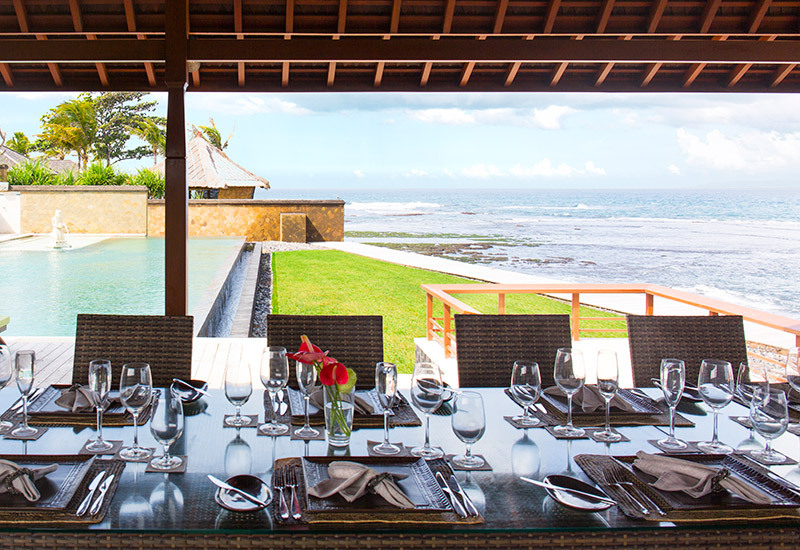 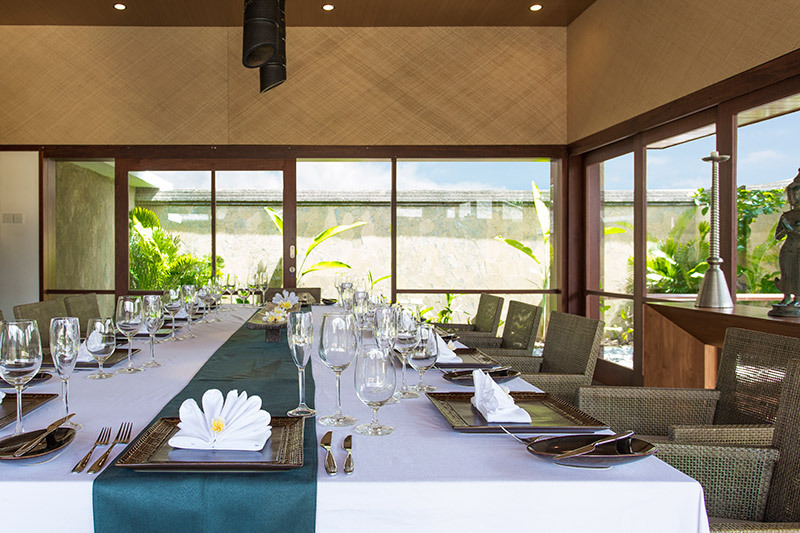 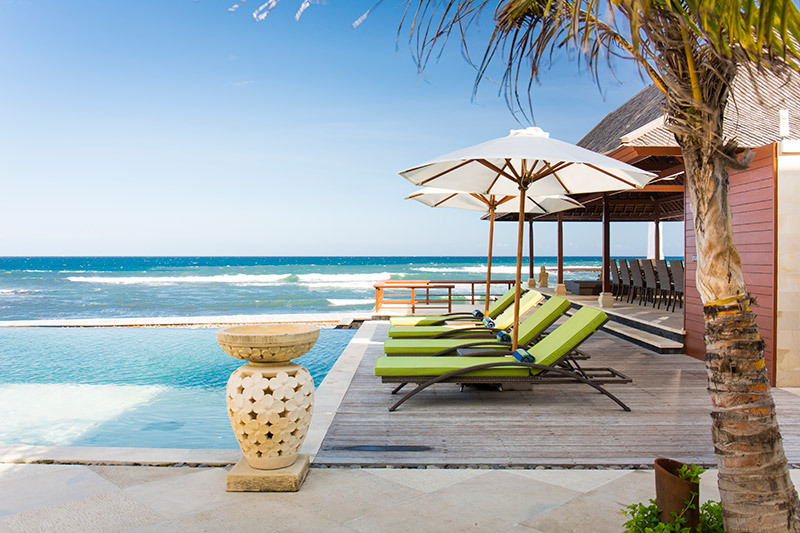 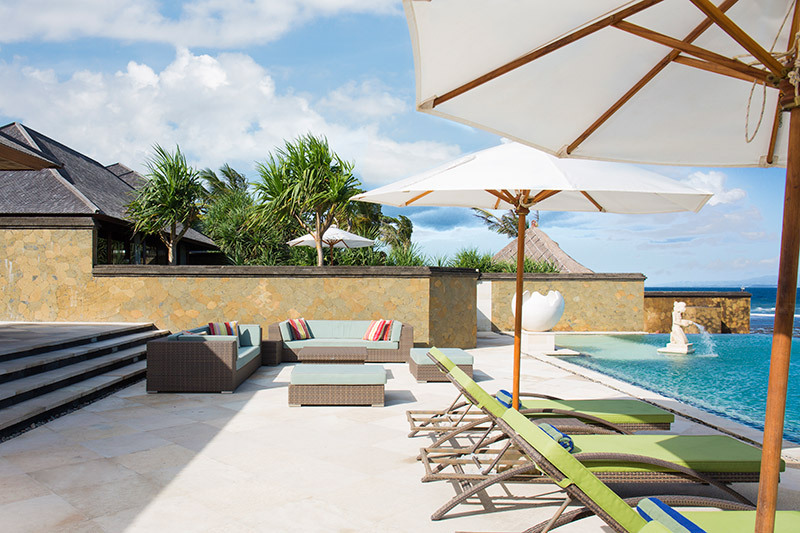 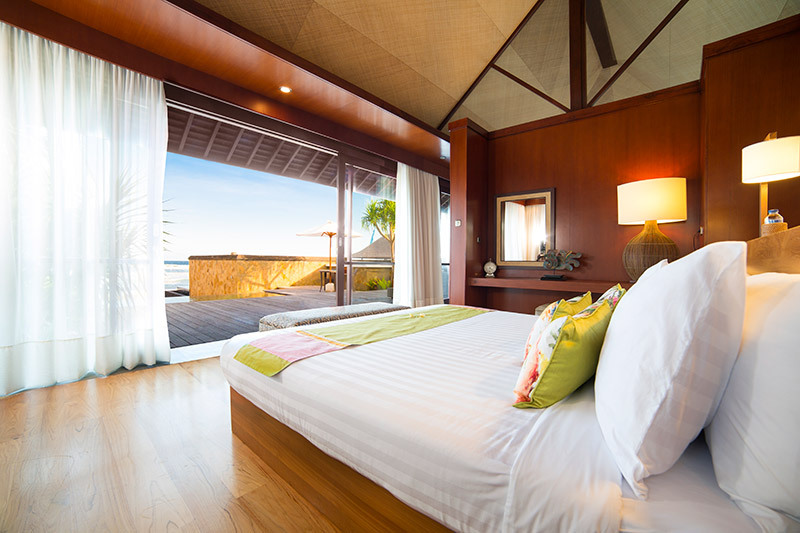 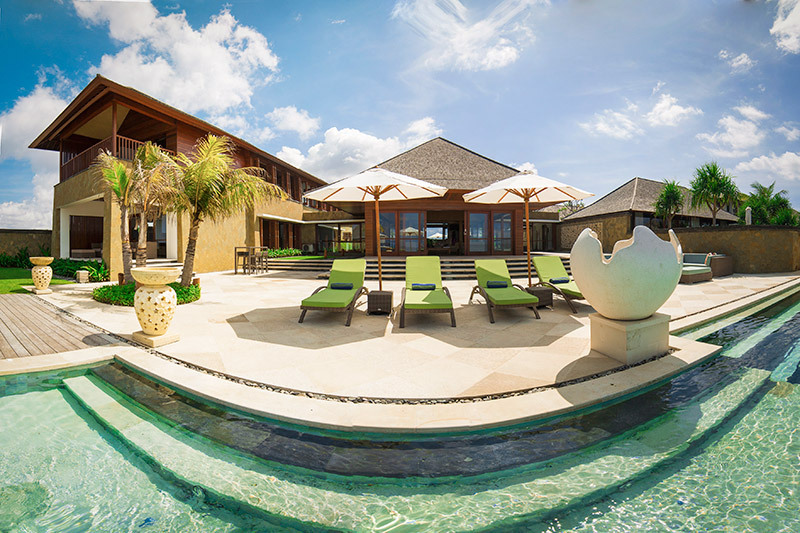 Villa Bayu Gita Beachfront is located South-east of the Island, far away from crowded areas, in the fishing village of Ketewel, a few kilometers in the north of Sanur. 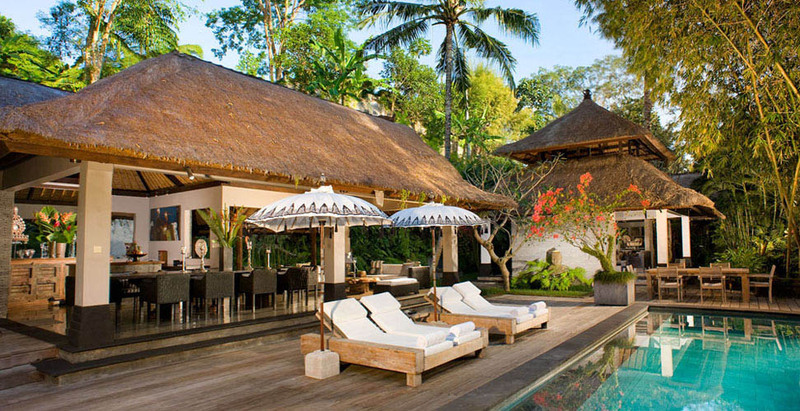 This calm villa in Bali gets you involved in the utmost Balinese dream thanks to its rare location. 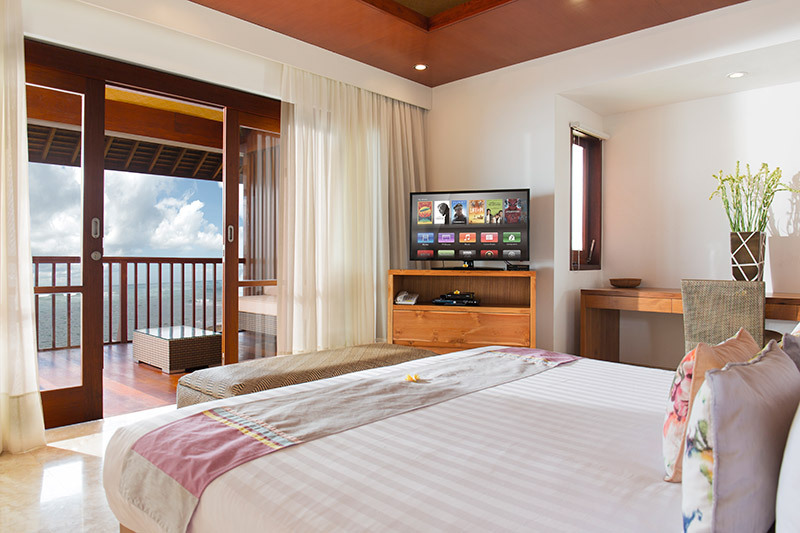 Six large bedrooms can host 12 guests in a modern, luxurious and comfortable atmosphere. 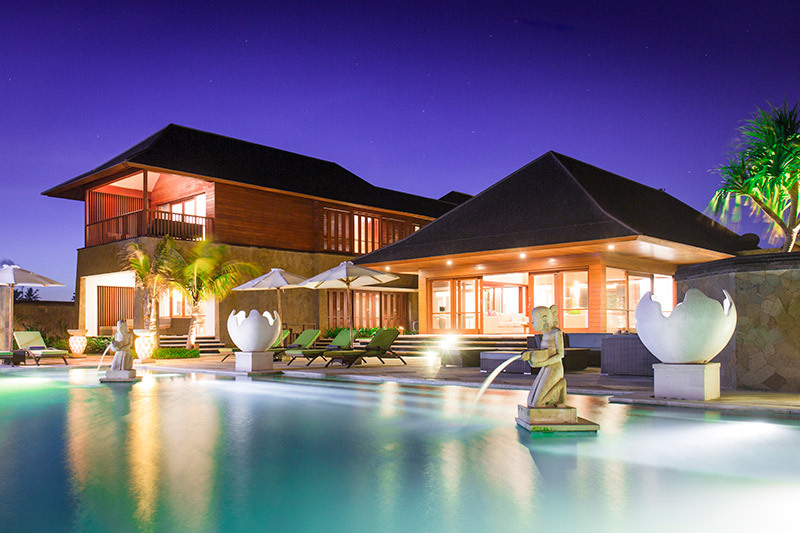 You will definitely not get bored in the villa. 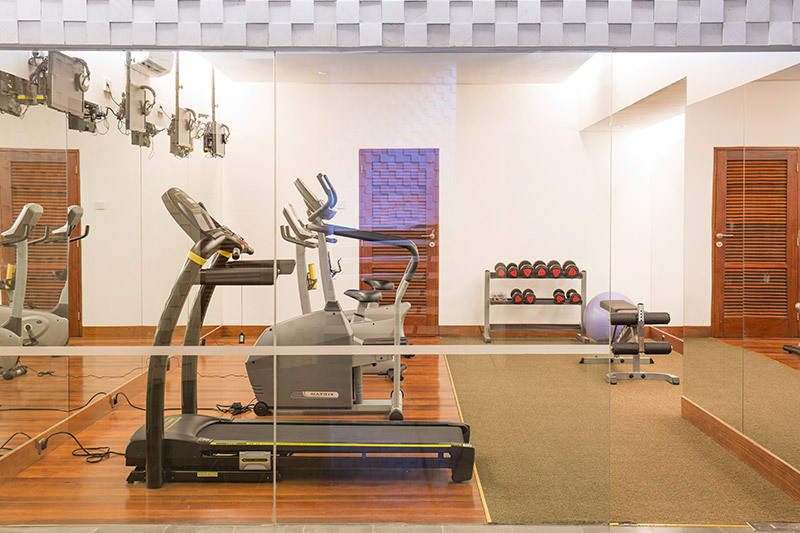 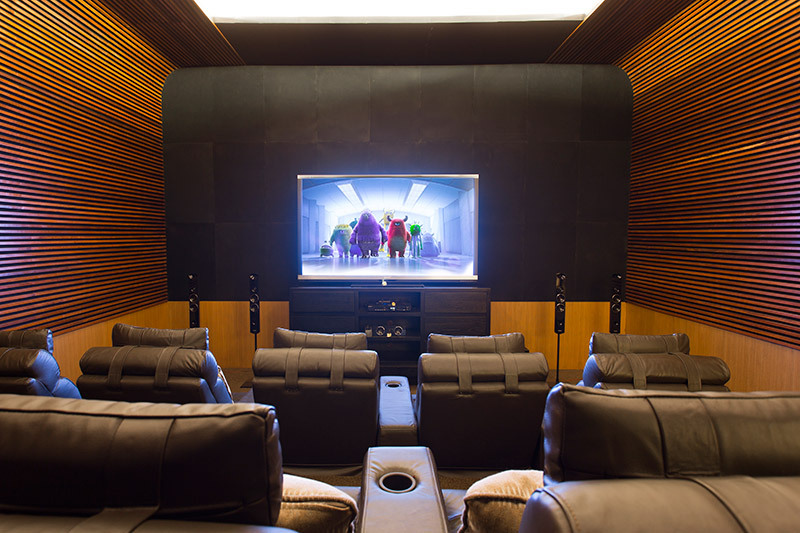 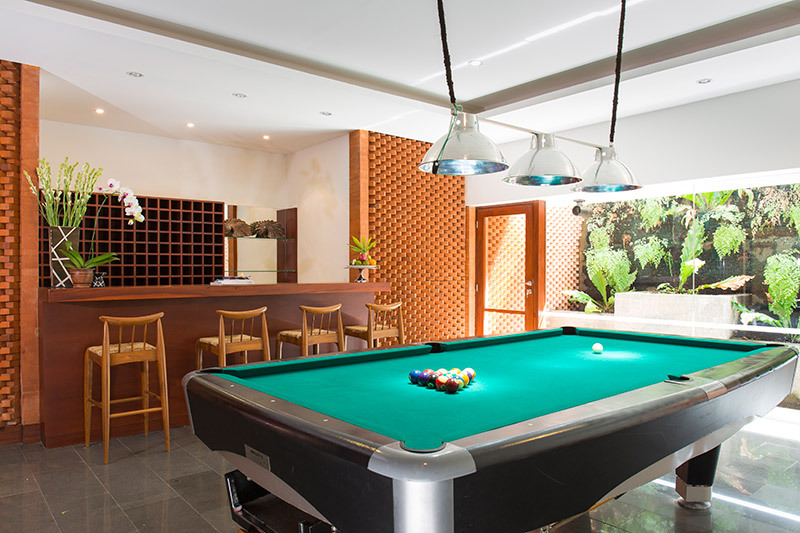 It is equipped with a cinema room provided with mellow sofas, a gym room for sports guests, a billiard area, a bar or even a media room with video games to satisfy all guests. 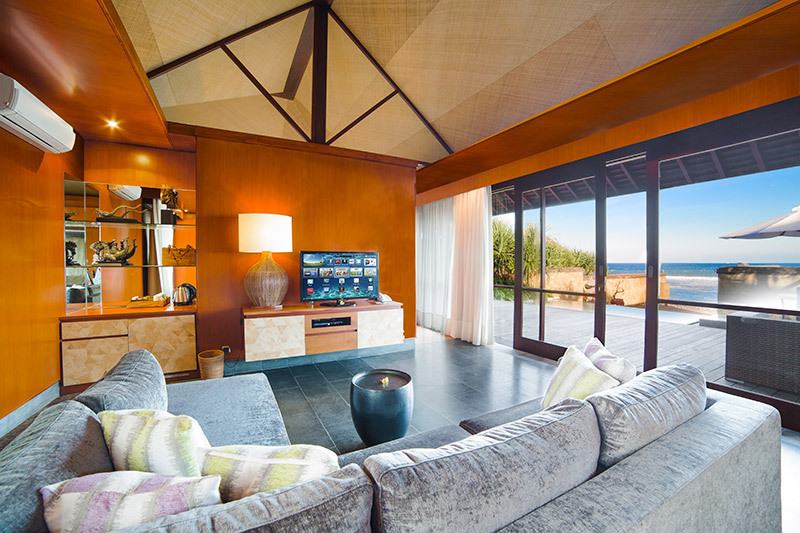 However, the lovely place rather invites you to take advantage of the wide indoor and outdoor living rooms in order to get out of daily life. 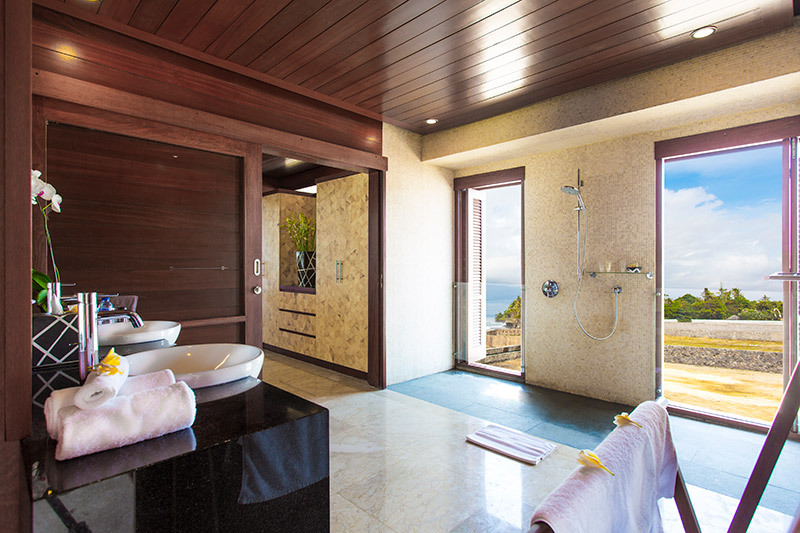 Indeed, the ornamentation and the stunning view make you feel as if you were in a palace. 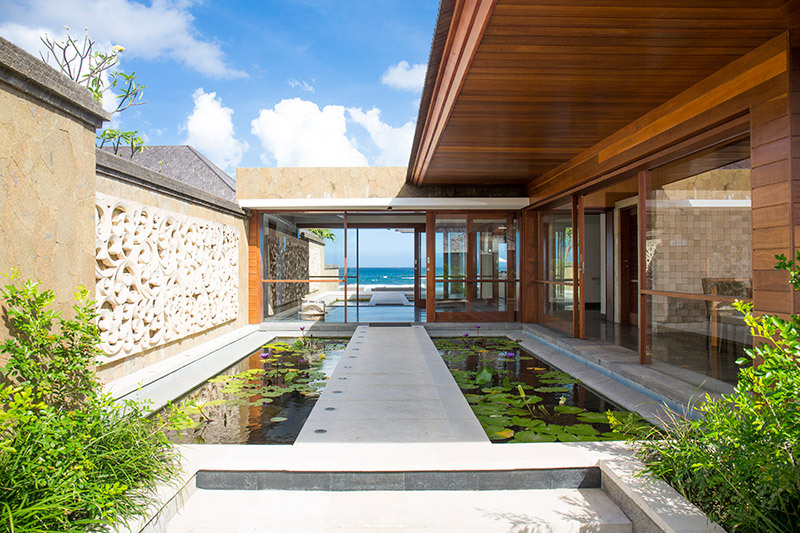 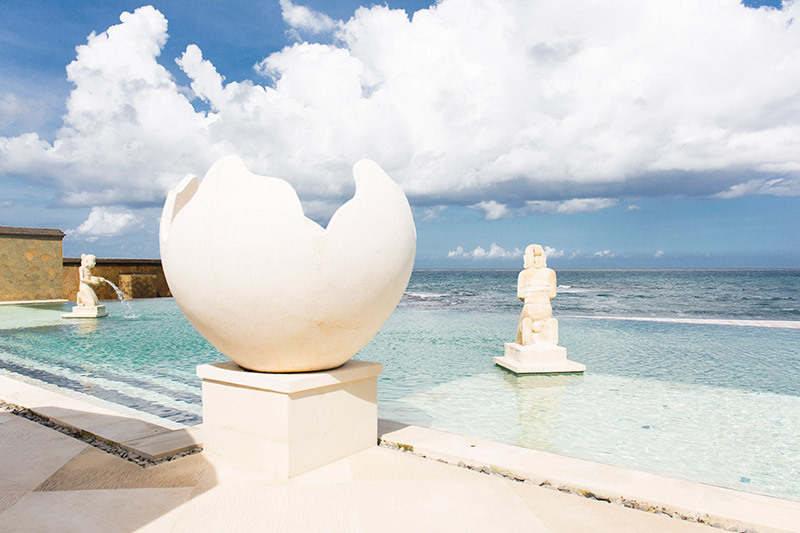 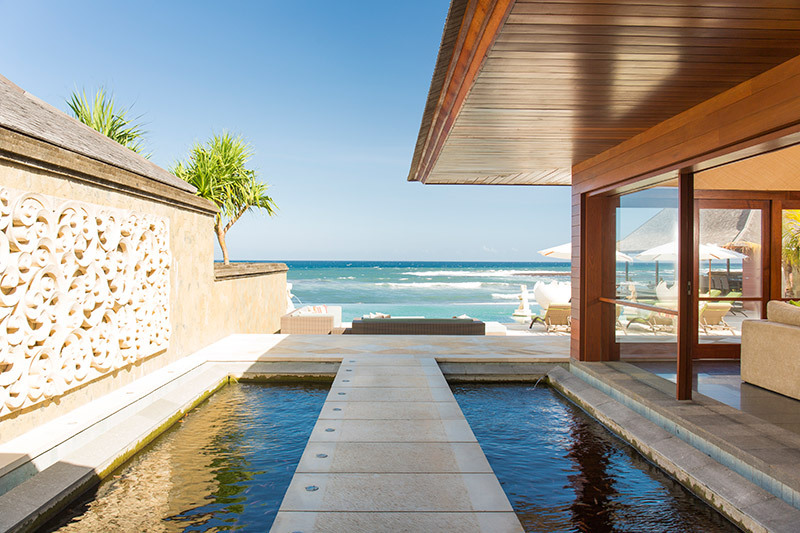 The 960 square meters of the luxury house were built so that guests can enjoy the mild climate of the Island of Gods all day long while having a restful view on the Indian Ocean. 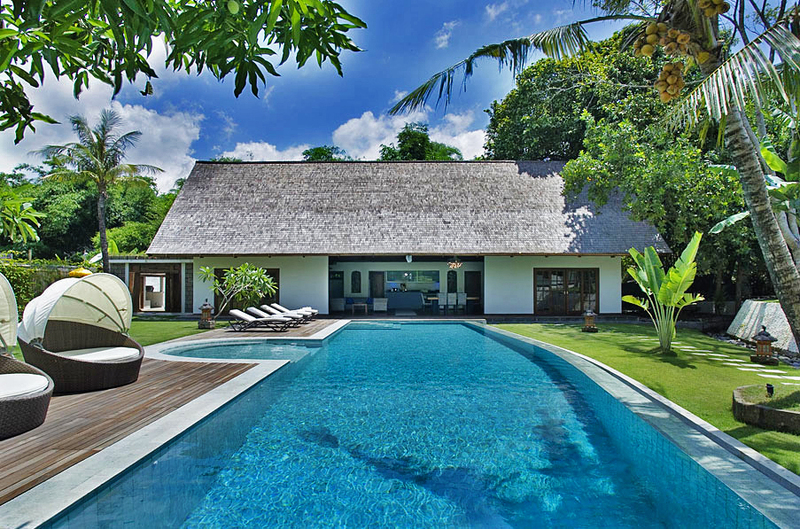 Outside of this villa for rent in Bali, you will find out many areas and lounge suitable to relax during long lazy hours. 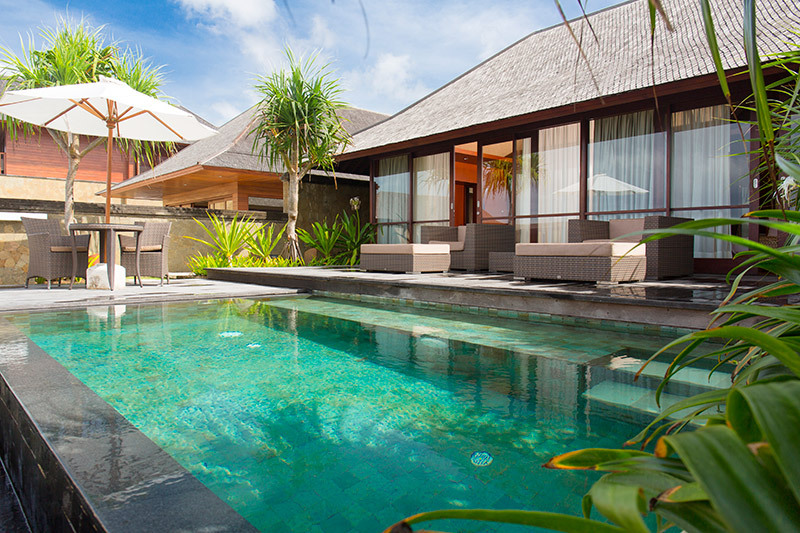 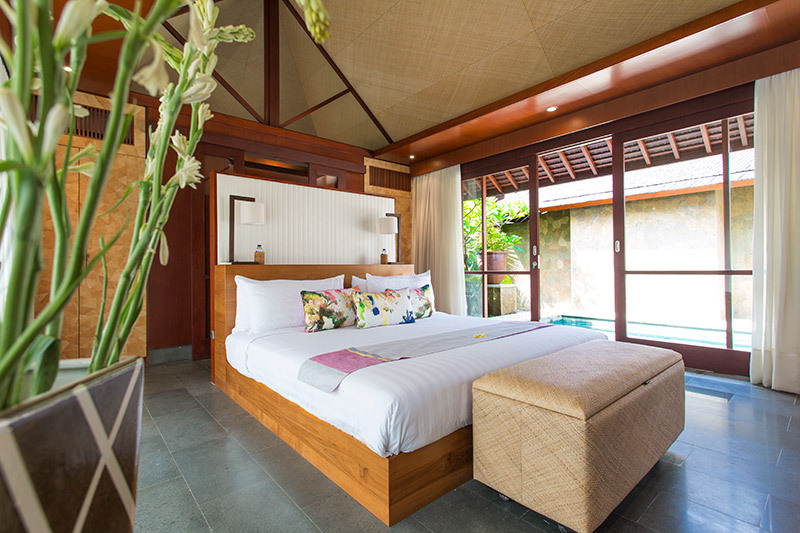 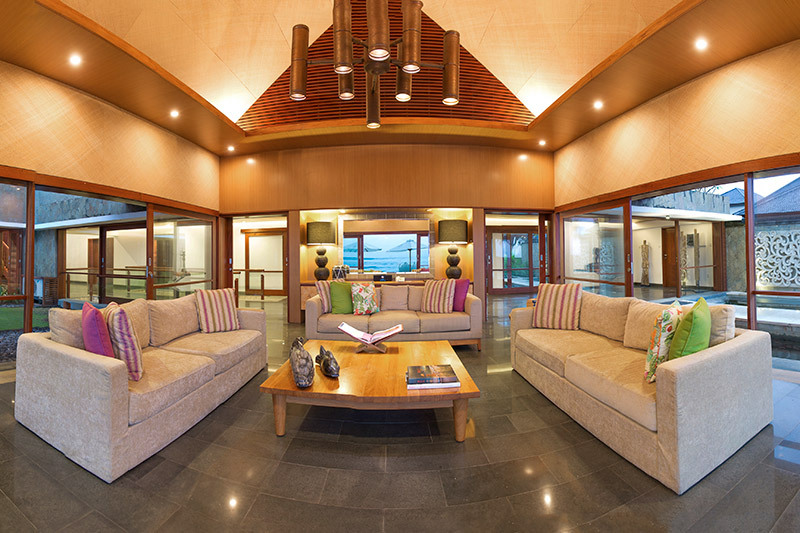 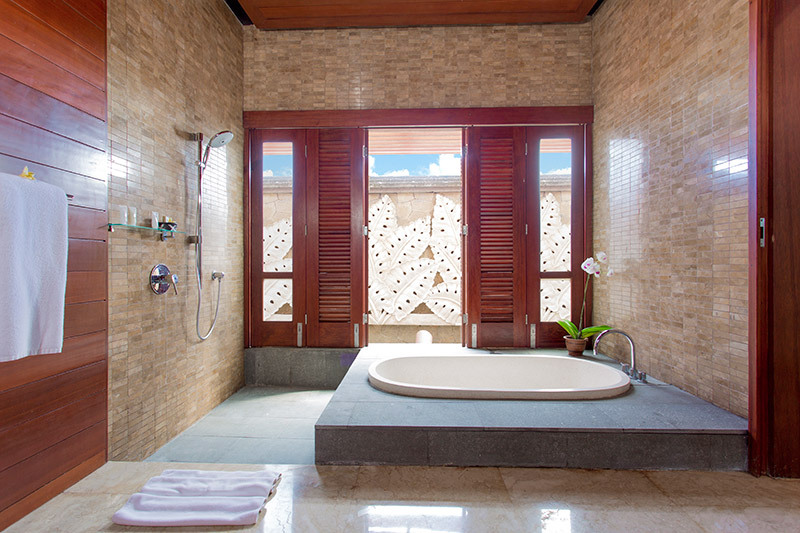 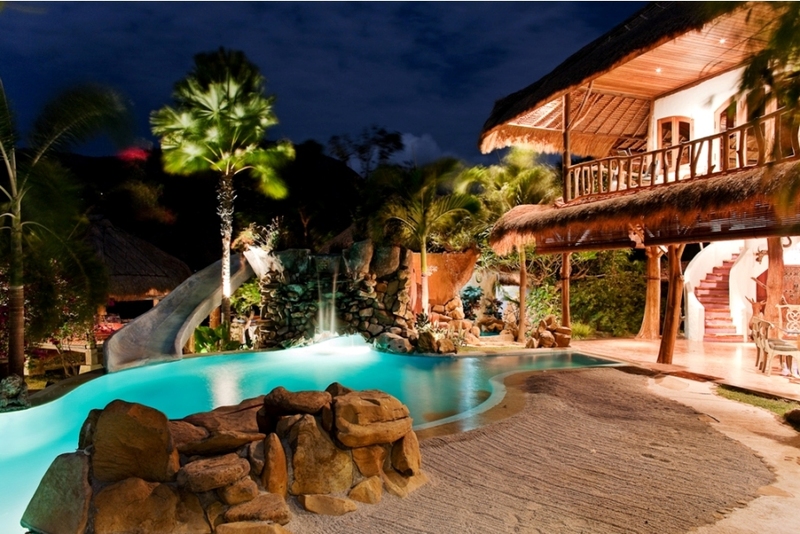 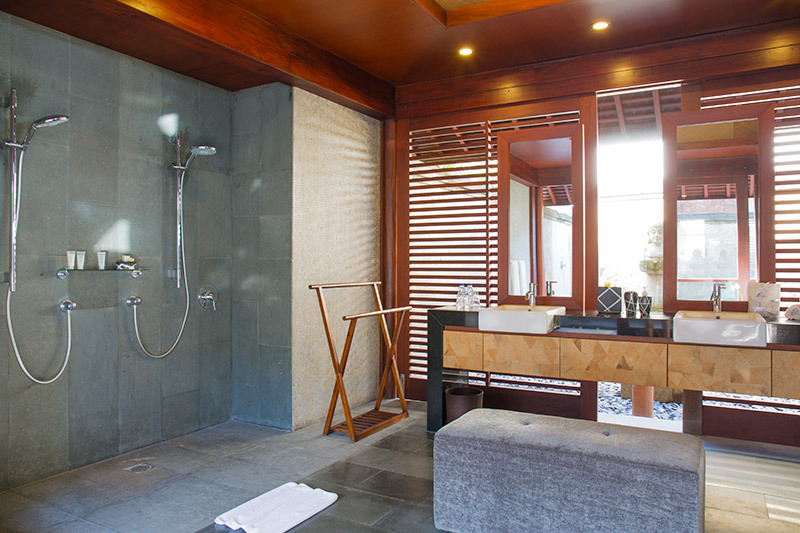 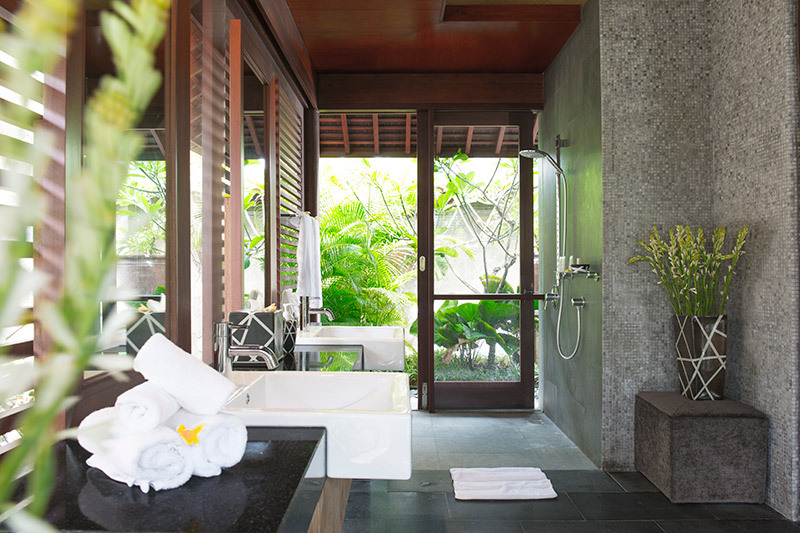 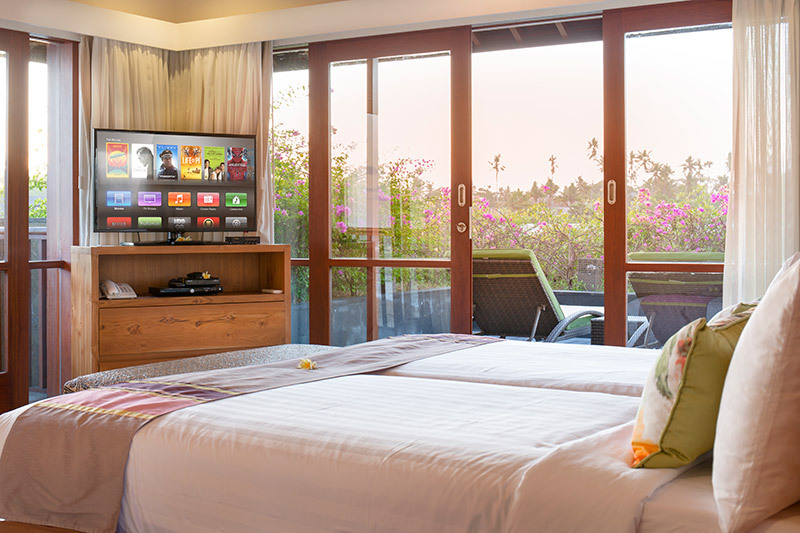 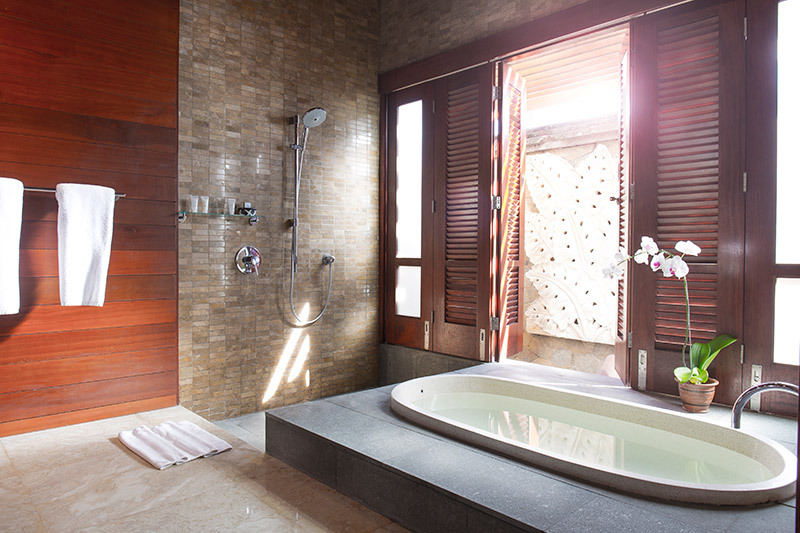 A Balinese â��baleâ�� stands in the tropical manicured garden as well as a pleasant Jacuzzi. 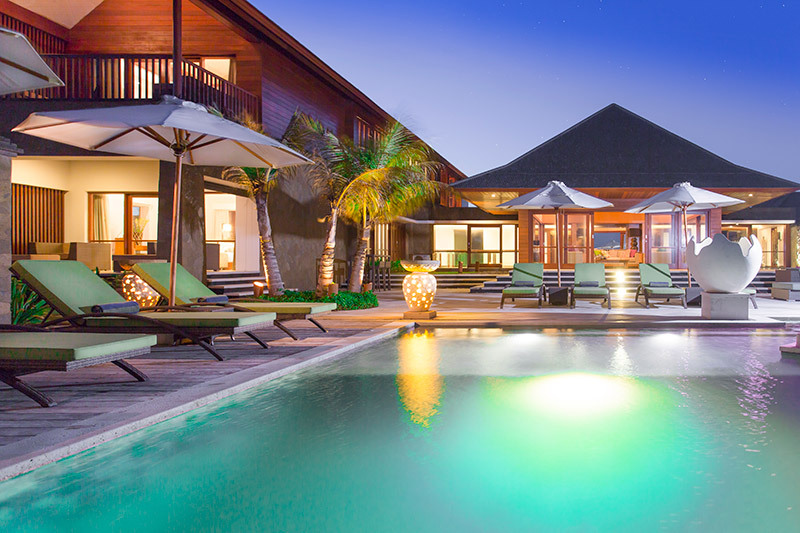 You will be able to have wonderful swims in the large 18 meter pool while having a breathtaking view on the oceanâ��s breaks. 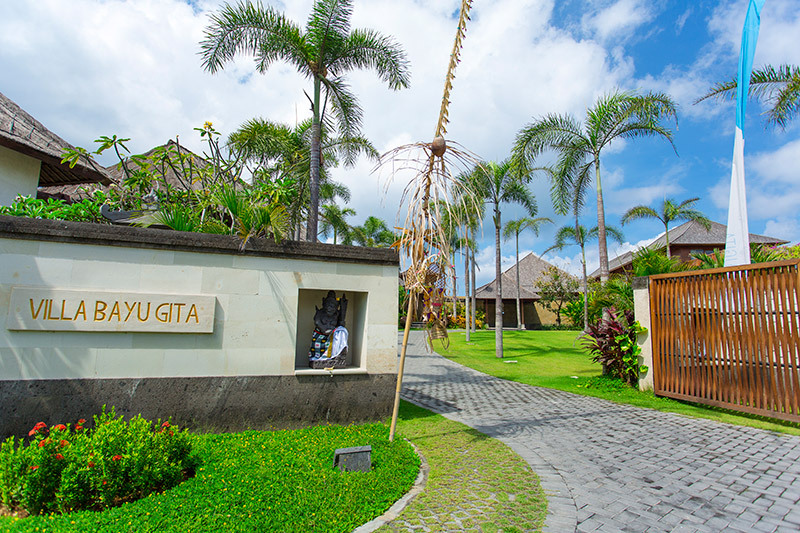 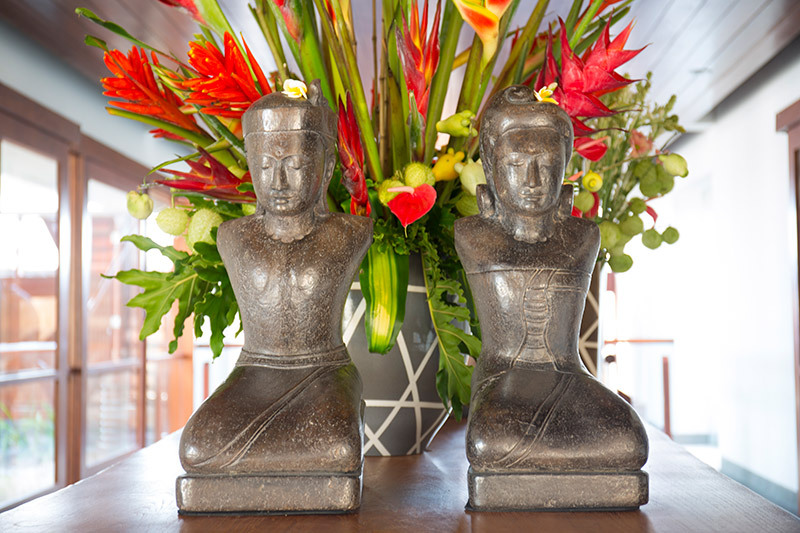 Depending on your mood, you can request a staff of masseuses in order to have a Balinese spa treatment which provides a wide range of relaxing properties. 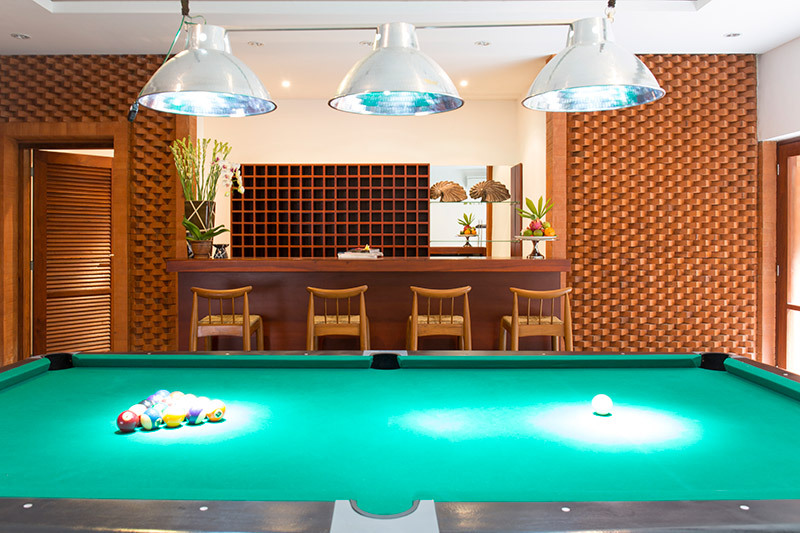 To make sure of your daily satisfaction, a smiling and careful staff will take care of your comfort in this renting. 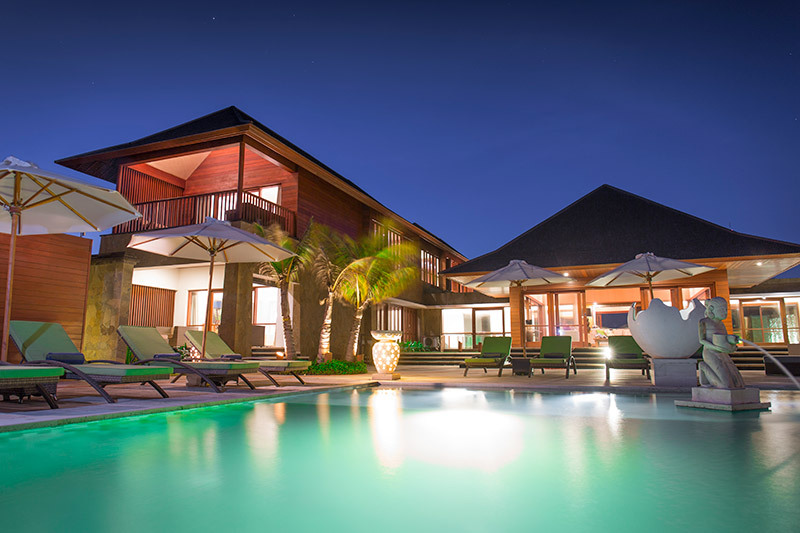 A villa manager will look after a housekeeping staff, a cooking staff, a security service, a driver and a team in charge of the gardenâ��s cleanliness. 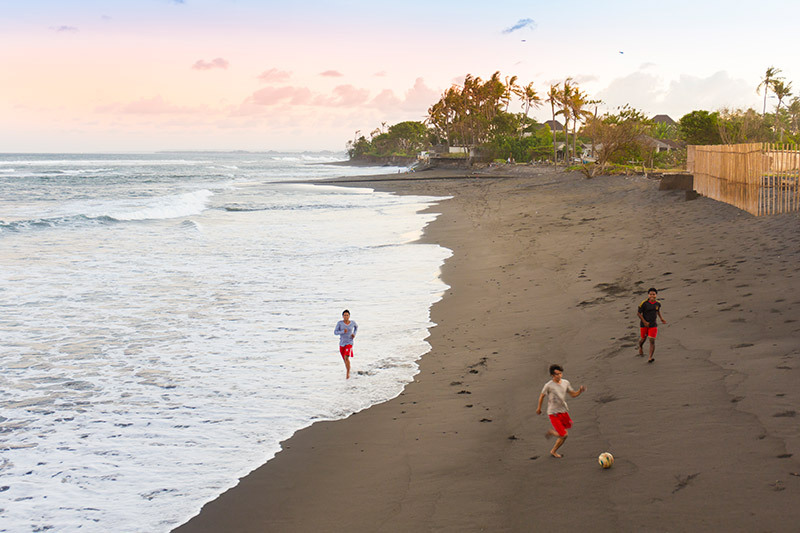 For a family or a group of friends who want to rent a quiet haven, this is a wonderful beachfront opportunity located in an area suitable to discover Bali. 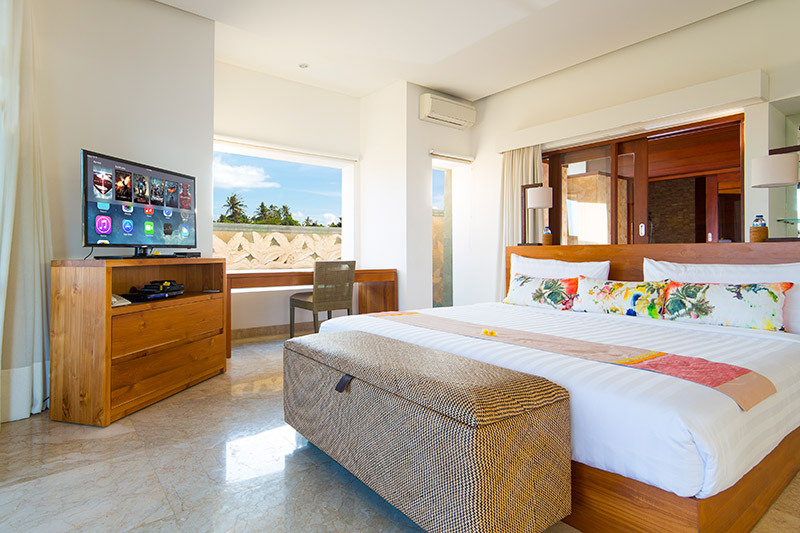 Furthermore Bali Je t'aime, a Bali villa rentals can organize activities, tours or even transport so that you are far from any constraint to make your holiday memorable and wonderful. 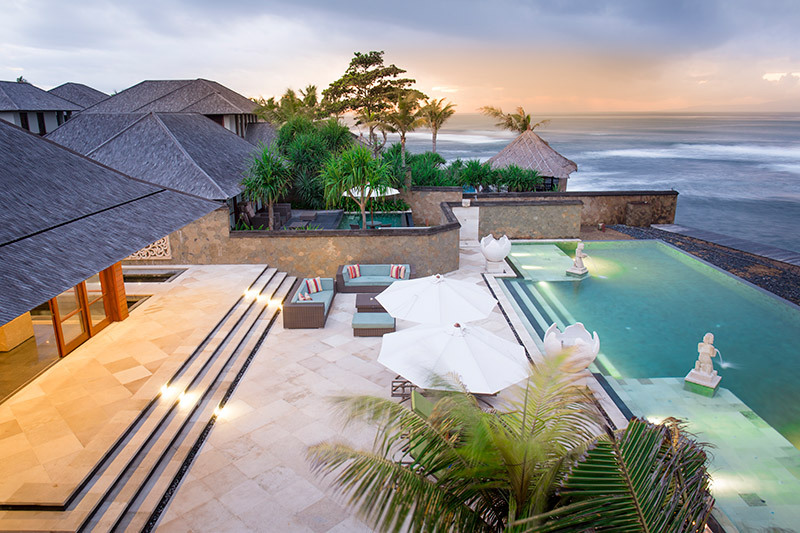 With us, to rent a villa will be very easy. 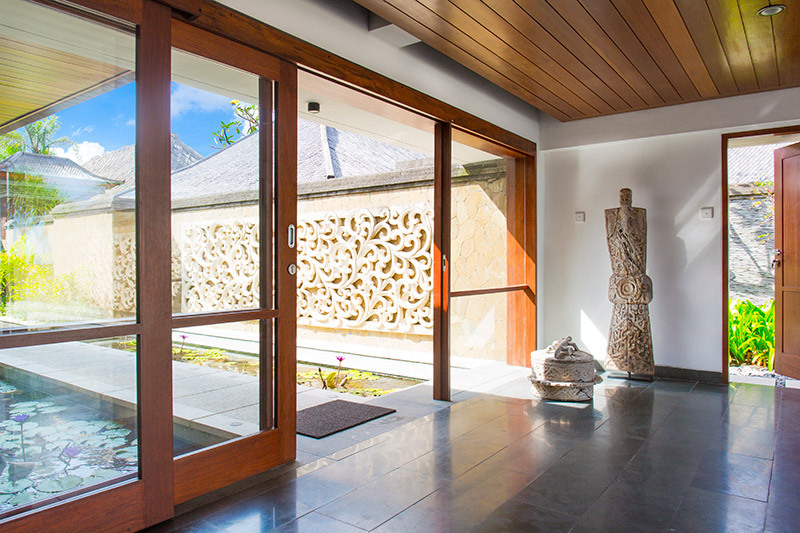 Indeed, many craftsmanship villages are located nearby, while Baliâ��s cultural hub, Ubud, stands a 30 minutesâ�� drive away from your villa. 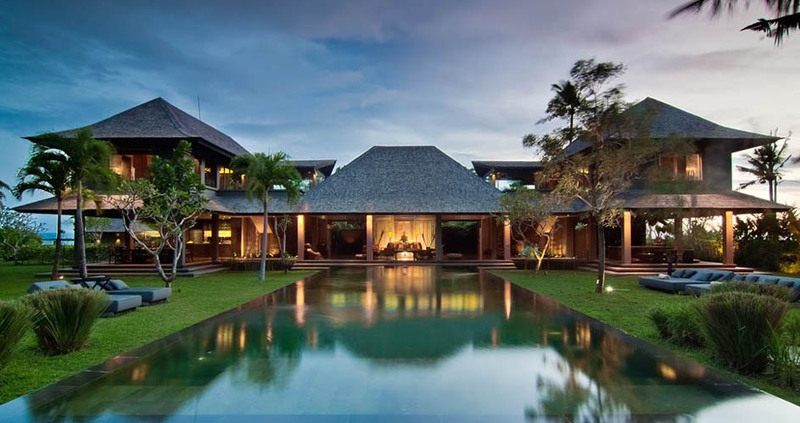 Whatâ��s more, you will find Sanur 10 kilometers south from the villa. 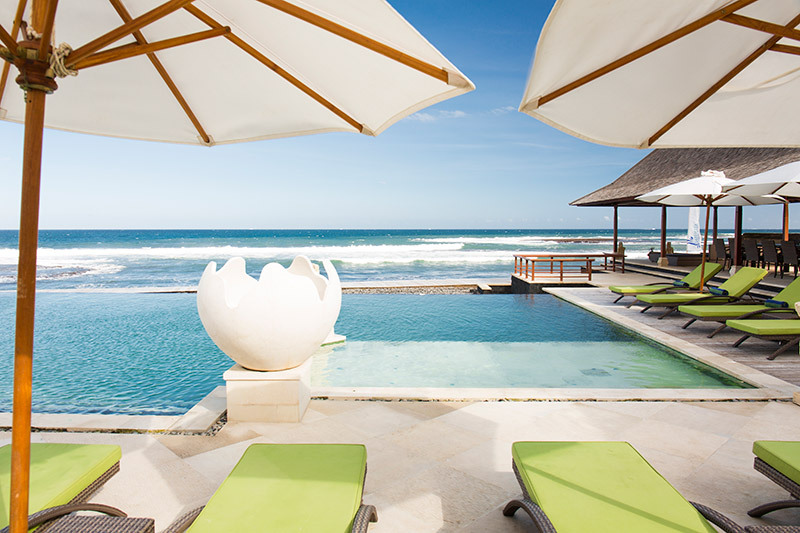 There, you will enjoy cosmopolitan facilities such as trendy restaurants and bars fronting the ocean.